Three little witches meet a bunch of spooky characters and come together to prepare a batch of Bone Soup in this Halloween tale based on the beloved fable, Stone Soup. This just-scary-enough picture book comes with a recipe for Bone Soup - perfect for Halloween eating. One Halloween morning three witches are looking for a tasty treat and they find only a small bone in their cupboard. So they decide to go from door to door in their village to find just the right ingredients for their Bone Soup. No one in the village is convinced that soup can be made from a bone, until the littlest monster knows what the special ingredient should be. Alyssa Satin Capucilli was born in Brooklyn, New York, in 1957. She graduated from Sarah Lawrence College, and pursued her interest in dance, becoming a professional dancer and dance instructor. Though Capucilli had written stories, poems, and even puppet shows as a child, she didn't consider a career as a writer until after her own two children were born. To this day she sees herself as both a dancer and a writer, and the two professions complement each other nicely: dancing is, in her words, "telling stories in another way," and readers of her children's books can attest to the rhythm of her language. Since 1994, she has written more than 15 books for children, and her work has been translated into French, Hebrew, Afrikaans, Greek, and Bulgarian. 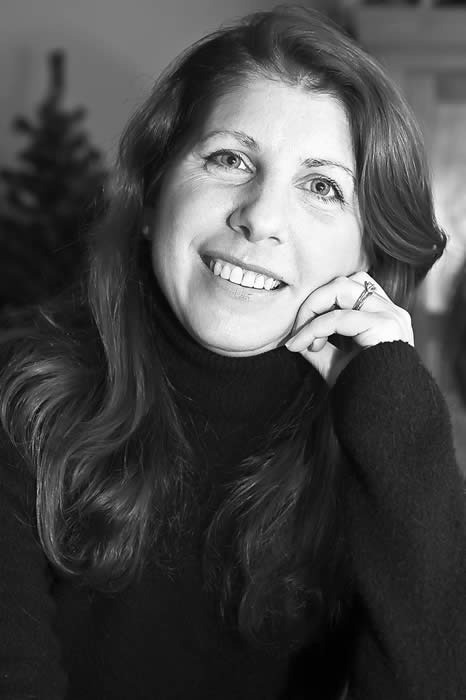 Capucilli lives in Hastings-on-Hudson, New York, with her husband and children. They have a chocolate Labrador retriever named Huckleberry, who likes to watch the author at work.